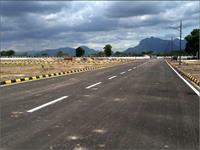 We, abi Infrastructure help you to search properties in Coimbatore. Our objective is to provide end to end solutions in real estate ranging from transaction services and investment advisory, thereby providing all the services under one roof including legal advisory. 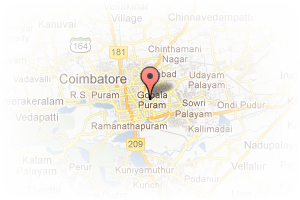 Address: 5/520 ksa plaza Nsr road saibabcolony coimbatore, Saibaba Colony, Coimbatore, Tamil Nadu, India. 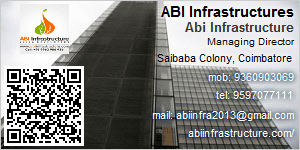 This Builder Profile page for "ABI Infrastructures" has been created by PropertyWala.com. "ABI Infrastructures" is not endorsed by or affiliated with PropertyWala.com. For questions regarding Builder Profiles on PropertyWala.com please contact us.